Bowling pins for ten-pin bowling. Photo (cc) Stefan Grazer. Many managers know of the Pygmalion Effect, in which our expectations not only influence how we see employee performance, but also influence the employee's performance. This happens because we telegraph our expectations through tiny cues that are out of our awareness. When people pick up these cues, their behavior tends toward our expectations, and our expectations become self-fulfilling prophecies. You might know this from personal experience. Perhaps your supervisor expected the best of you, and you delivered, and felt great. Or perhaps you were expected to fail, and you did. It's difficult to excel when your supervisor thinks you're a loser. But there's much more to it than the Pygmalion Effect — there are the Pygmalion Side Effects. Managers who leave in place employees whom they believe are poor performers risk lost productivity, higher turnover, and interpersonal conflict, not only among the poor performers, but among other employees, too. For example, the people around Elise also pick up on Alton's low opinion of her, which influences their expectations and how they behave toward Elise. They're less accepting of her contributions, and they might come to distrust her and even dislike her. These Pygmalion Side Effects influence Elise's performance, perhaps even more than the original Pygmalion Effect. other employeesperformance can degrade. With or without a spoken agreement, the team might isolate Elise, depriving itself of contributions she might have made. Team members might second-guess her work, or distrust her opinions, or they might even reject her valid contributions. Interpersonal conflict can erupt, and that can lead to defects and project delays. The Pygmalion Side Effects are something like bowling a strike. 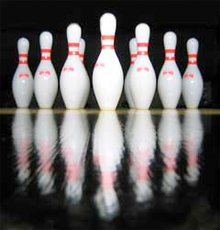 The bowling ball itself knocks down some of the pins, but most of the pins are knocked down by other pins. If you're a manager, what can you do about a poor performer? Recognize that it's possible that you're seeing the performance as poorer than it is. You can clear this up only by greater first-person involvement with the work of your organization — the whole organization. Email and third-hand communications are not first-person involvement. If there's a performance issue, your best options are training, reassignment, transfer, or termination. Leaving poor performers in place and hoping for the best isn't likely to work, and could threaten team performance. In today's highly interconnected work teams, evaluating personal performance can be difficult. If someone isn't doing well, some of the rest of the team could be playing a role. If you terminate a "poor performer" when the root cause is actually elsewhere in the team, the team will likely produce a new "poor performer." For a discussion of the connection between confirmation bias and the Pygmalion effect, see "Confirmation Bias: Workplace Consequences Part II," Point Lookout for November 30, 2011. J.S. Livingston, "Pygmalion in Management." Harvard Business Review, reprint #88509, in The Best of the Harvard Business Review, Harvard Business School Press, 1991. "Expectations May Alter Outcomes Far More Than We Realize," by Sharon Begley, in The Wall Street Journal, p. B1, November 7, 2003. Would you like to see your comments posted here? rbrenOdHysGDKhKqlXfmWner@ChackIVPXyxOogwmBWDfoCanyon.comSend me your comments by email, or by Web form. The Hawthorne Effect appears when we measure employee attitudes or behavior — when people know they're being measured, they modify their behavior. How can we measure attitudes with a minimum of distortion from the Hawthorne Effect? When we have successes that surprise us, we do feel good, but beyond that, our reactions are sometimes self-defeating. What happens when we experience unanticipated success, and how can we handle it better? I offer email and telephone coaching at both corporate and individual rates. Contact Rick for details at rbrenNUYxsNKEruqvjYjTner@ChacTjzYzhtOaVJinzykoCanyon.com or (650) 787-6475, or toll-free in the continental US at (866) 378-5470.